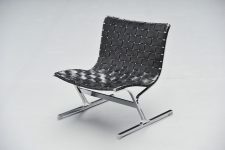 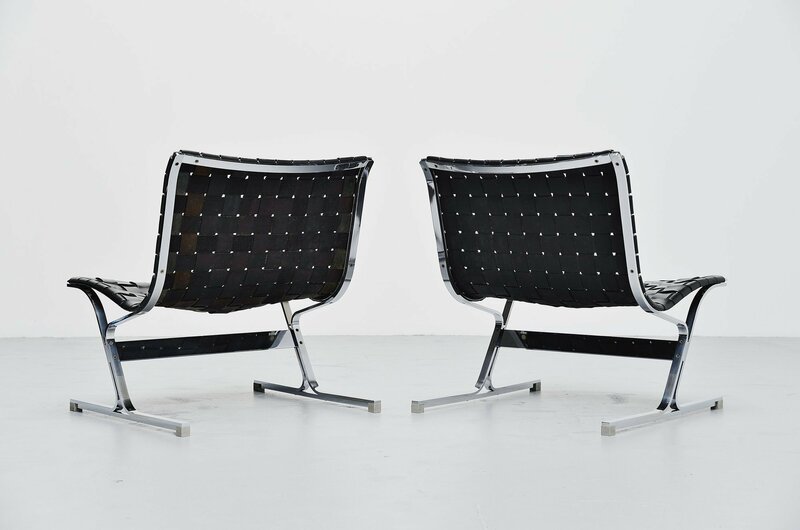 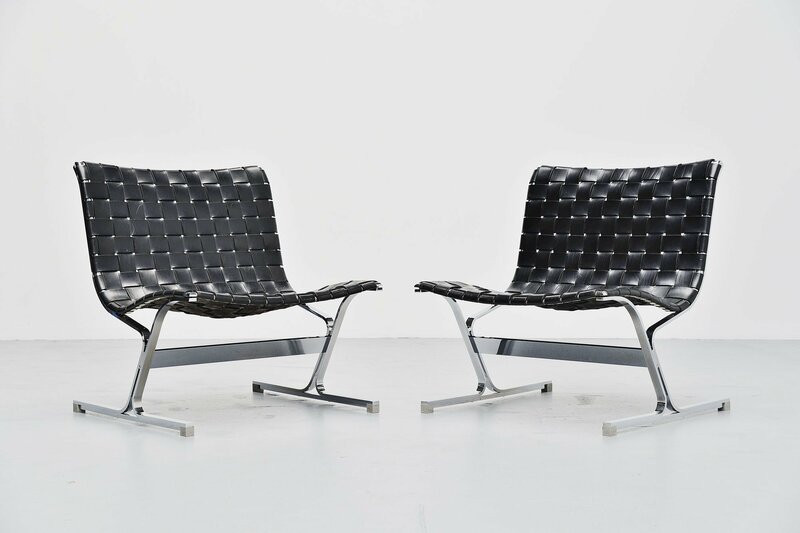 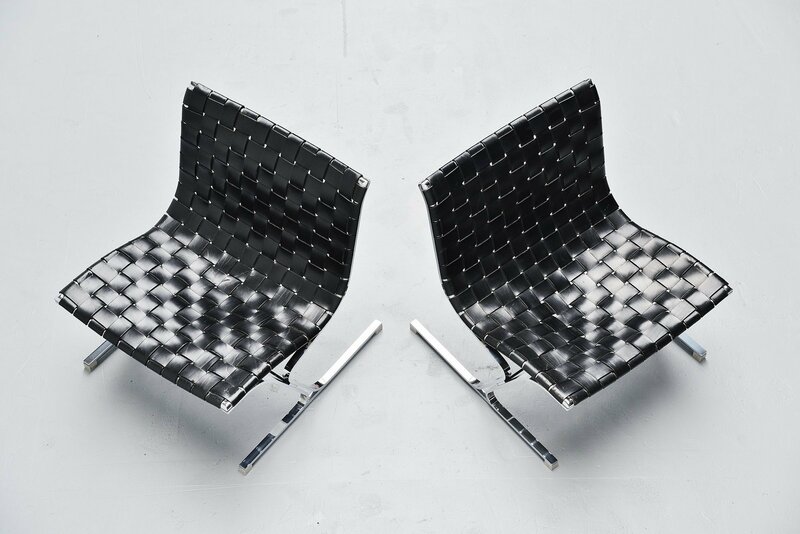 Very nice pair of Luar lounge chairs designed by Ross Littel and manufactured by ICF de Padova, Italy 1965. 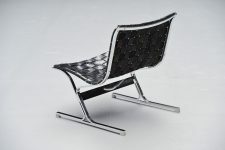 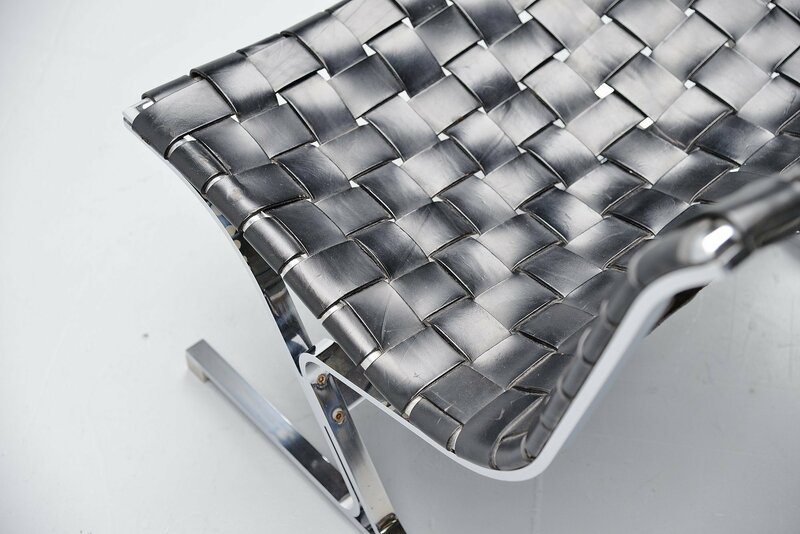 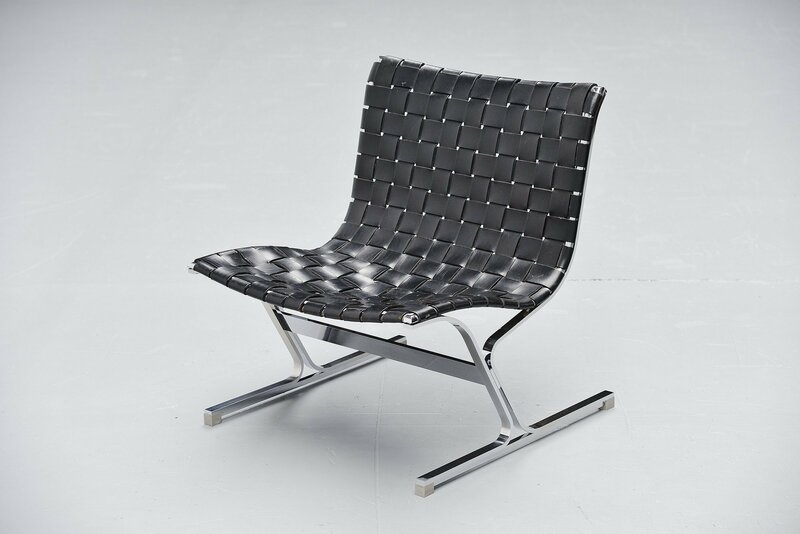 These amazing lounge chairs are made of chrome plated solid metal frames with black leather straps that are still original and have a nice patina from age and usage. 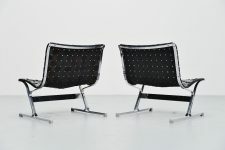 Very nice shaped lounge chairs and hard to find in a set of 4. 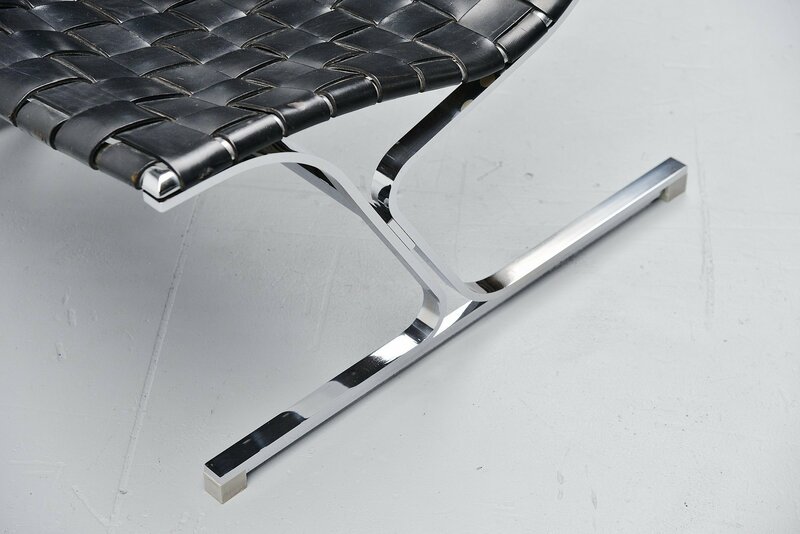 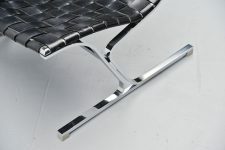 The chairs seat very comfortable and look great with the black leather in contrast with the chrome plated metal. 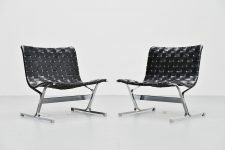 Very nice condition with nice patina to the black leather which is still very strong and firm. 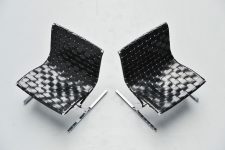 The chairs are priced and sold in a set of 2.